(CHICAGO) (MARCH 1, 2017) The Chicago School has selected Dr. James Chitwood as the Campus Dean for its Online Campus. In his new role, Dr. Chitwood is responsible for the oversight and strategic direction of the campus, including its programs, as more students demand flexibility in their education. “We are excited to have Dr. Chitwood join our University at a time when our Online Campus is highly successful. 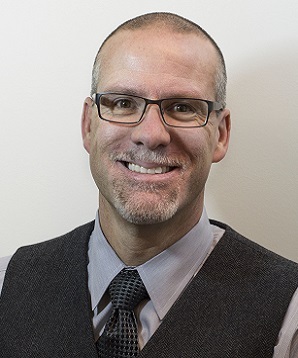 Having served in higher education academic leadership positions for over 15 years, he is an accomplished leader and has shown a deep commitment to ensuring that students have every asset they need to succeed in their educations and beyond,” said Michele Nealon, Psy.D., President, The Chicago School. Prior to his new role with The Chicago School, Dr. Chitwood served as Vice President of Enrollment Management at MyFootpath/Operation Graduate, a company that prides itself on providing “innovative enrollment solutions for the education industry.” In this position, he worked in collaboration with faculty, staff, and administrations to enroll and retain students in high quality academic programs that meet the needs of the communities they serve. Dr. Chitwood has also served as a Regional Vice President of Field Operations for Synergies Education and as President for Ashford University, and is skilled in the areas of employee and leadership development, strategic planning, and deployment of best practices in performance management.